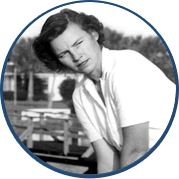 She was right about school, but wrong about golf. 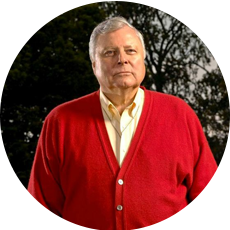 No one should have been surprised that Alliss was always attracted to the game. His father, Percy, was one of the finest players of his generation and represented Great Britain & Ireland in the 1933, 1935 and 1937 Ryder Cups. 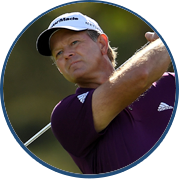 Peter was constantly following his father to Ferndown Golf Club, and after some success in youth tournaments, he quit school and turned professional at age 15. 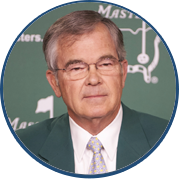 He continued the Alliss family tradition, winning 23 tournaments worldwide during a professional career that lasted until 1974. He won three British PGA Championships, two Spanish Opens, one Italian Open, one Portuguese Open and one Brazilian Open. He captured two Vardon Trophies and represented England 10 times in World Cup competitions. 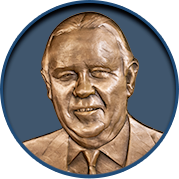 When Alliss made the first of what would be eight appearances for Great Britain & Ireland at the 1953 Ryder Cup, the Alliss family became the first ever to have father and son play in the event. Peter Alliss helped actor Sean Connery with his golf game before the filming of “Goldfinger,” which involved a scene where James Bond played against the evil Goldfinger. 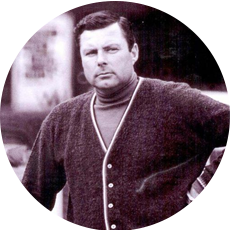 Ironic then, that Alliss would step into the BBC’s broadcast booth at the 1961 Open Championship and begin a run that would forever stamp his name on the event. History smiled on Alliss from the start, as Arnold Palmer earned his first career Open victory that year at Royal Birkdale. 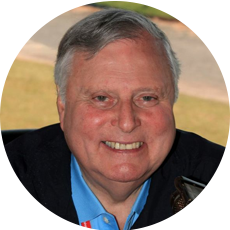 Since then, Alliss’ voice has been a part of every special moment at golf’s oldest major championship, from Jack Nicklaus’ playoff win at St. Andrews in 1970 to the Duel in the Sun between Nicklaus and Tom Watson in 1977 to Jean van de Velde’s implosion at Carnoustie in 1999 to the dominance of Tiger Woods at the Old Course in 2000 and 2005. But Alliss was never content to just sit in the booth. 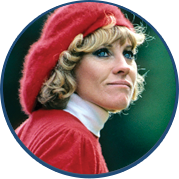 He has been a part of so much of the game in England, including two years as Captain of the British Professional Golfers Association (1962, 1987), a past president of the British Greenkeepers’ Association and the first president of the European Women’s Professional Golfers’ Association (1980-84). 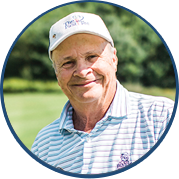 Alliss has written more than 20 books about the game and has co-designed more than 50 courses, including The Belfry, the iconic venue for the Ryder Cup in 1985, 1989, 1993 and 2002.